Wargame News and Terrain: Mayku: New Formbox - Tabletop Vacuum Former Reviewed! 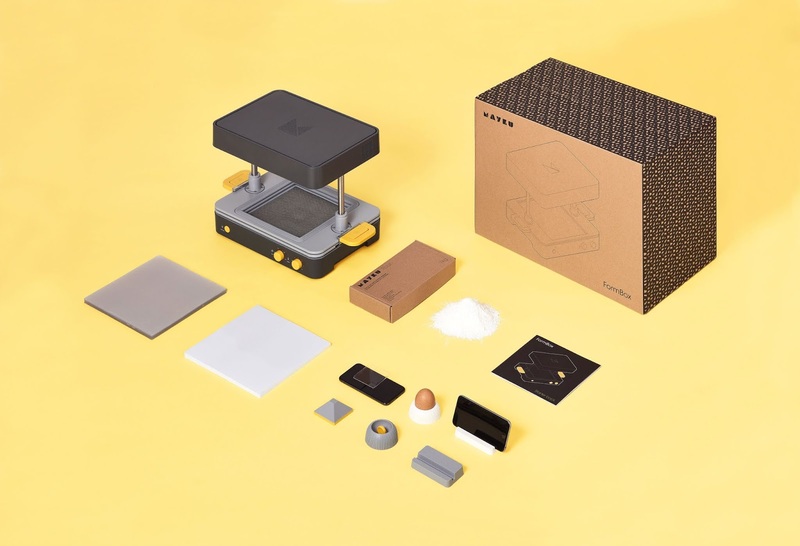 Mayku: New Formbox - Tabletop Vacuum Former Reviewed! Today we're reviewing the amazing and most useful Formbox - Tabletop Vacuum Former created by Mayku. 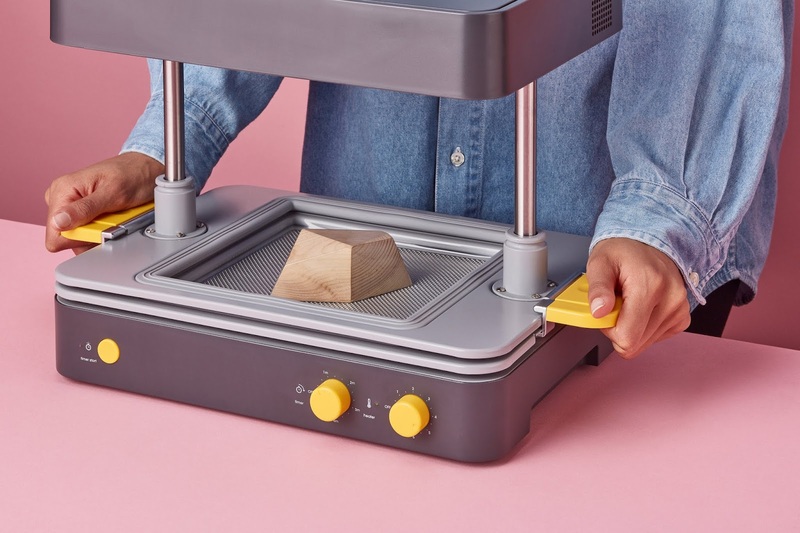 The Formbox is a compact desktop machine allowing you to easily produce prototypes or finished products from start to finish on your own workdesk. Looks like a useful asset for the miniature model hobby workshop! The Mayku Formbox was succesfully funded on Kickstarter and has been proven to be a most useful asset for thousands of companies and persons worldwide ranging from architectural modellers, product designers, toy companies and even american space program engineers. Mayku was founded by Alex Smilansky and Benjamin Redford in 2015 in Somerset House, London. We’re now a team of 5 - with big ideas and our hearts set on giving everyday people the power to make their own things. Between us, we’ve built multiple businesses, countless apps and websites, brought tens of products to market, and managed global supply chains for multi-national corporations. 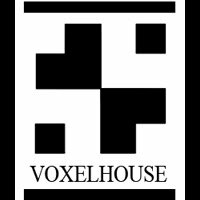 Whether it's products, words, spreadsheets or good conversation - if you like making stuff, you’ll love working here. The tools that we use to make things are getting more complex, more expensive and harder to access. That’s a problem. We believe that everyone should have the freedom to make. So we’re building a series of compact, desktop machines that are simple enough for anyone to use. You can take control your own production, from start to finish. The Mayku FormBox is our first. 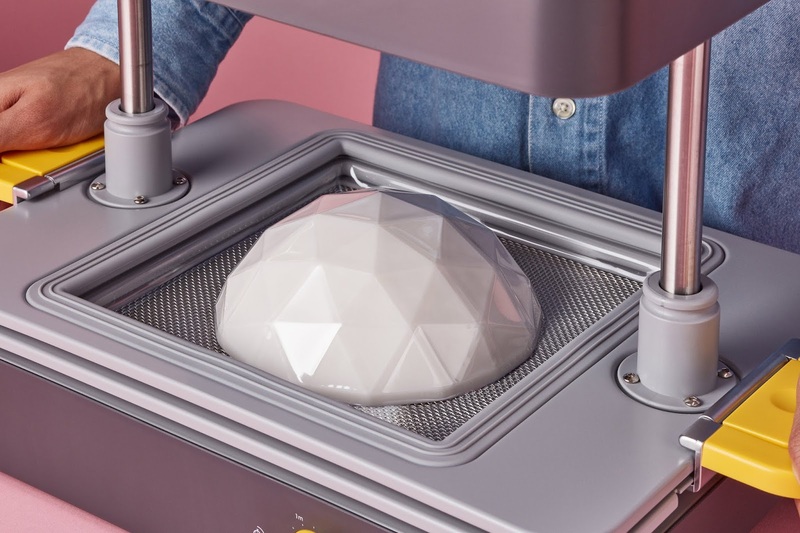 The Mayku Formbox is the first commercial tabletop vacuum former allowing people around the world to create innovative products from the comfort of their own workspace from start to finish. Although for Wargame News and Terrain the most important thing is the suitability of this cool piece of machinery for modelling, architectural and wargame miniature related creations. The Mayku Formbox can be used to create both transparant and non-transparant plastic models allowing you to create thousands of cool scenery pieces and conversion parts for existing models without even mentionning the capability to use the machine for making affordable moulds and creating dozens of plaster cast duplicates of your own designs. I have been thinking about the possibilities of this machine and what it can mean for the individual modeller and have listed some of these ideas below but feel free to get in touch and share your own ideas! The Mayku Formbox is in our opinion suited for individual miniature hobbyists and modelling clubs as well as for both small and large wargame companies. The desktop machine allows you to create affordable prototypes, quick and easy production moulds ready to be used or even finished products which can all be used in a commercial environment even with low production numbers. 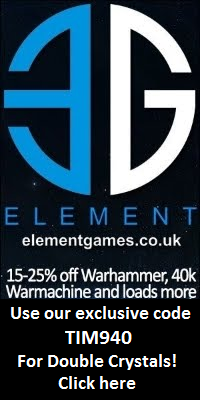 Although most suited in a commercial venture, the Formbox also opens doors for individual hobbyists looking to make bespoke light-weight parts for commercial models or even entirely new model scenery and other useful items such as custom storage trays for storing and transporting your miniatures and so on. 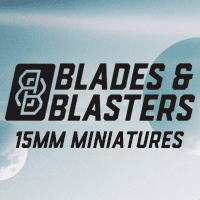 For more ideas and inspiration you can visit Amera Plastic Mouldings which already uses this kind of technology to create a large and extensive range of wargame and modelling scenery. The Mayku Formbox is a user-friendly machine which can be set-up in a matter of minutes after the unpacking of the well-packed and secure packaging. The Formbox vaccuum power is supplied by a vaccuum cleaner which is not supplied with the machine but can be any vaccuum cleaner which less than 2000 watt for this review we used the loud but extremely well-priced Kärcher WD2 to supply the suction required for the vaccuum forming. So all you actually need for installing the Formbox, is the machine and supplied suction tube along with a suitable vaccuum cleaner and clean working area. The installation is a matter of minutes in which you plug the Formbox in the mains using the attached power cable and plugging in the power cable of the vaccuum cleaner into the Formbox. After connecting the power cables you then use the supplied suction tube to connect the vaccuum cleaner hose with the Formbox and now you're ready to play and create! You turn on the Formbox and choose the sheet material you want to use for the creation. According to the material you will use you then set the time and temperature of the heater which will soften the plastic material for the actual vaccuum forming. Then you wait untill the heater has fully warmed up and the flashing orange light turns full green, after the heater has turned full green you can insert the plastic sheet by unclamping the tray handles. You simply lift up the top tray and click it in position near the heater and put the plastic sheet on the lower tray and then lower the upper tray to clamp the sheet between both trays. After you have clamped down the trays you again lift both trays up and click them in posistion under the heater. After they have been clicked in position you start the timer which will count down the time and put your templates or master model on the centre of the vaccuum plate. When you hear the ticking sound getting faster you check the material looking for rippled, soft and elastic plastic when you this is visible you pull the trays down over the templates. By doing so you will activate the vaccuum cleaner which will vaccuum the soft plastic around your template model and that's it. Remove the template and switch off the heater and get ready to inspect your first model! Note that the full details of the Formbox are illustrated and explained in the informative manual which is supplied with the Formbox machine so make sure to double check your manual before experimenting as this machine can be dangerous due to the hot heating element. The whole experience of using the Formbox is very easy and simple and after a couple of objects you should be able to crank out creations in a matter of minutes for use on the tabletop miniature battlefield and so we did! To test the Formbox we used some plastic parts which looked suitable for creating a futuristic obstacle for miniature wargames such as Infinity and Warhammer 40K and managed to create a couple of useful and lighweight scenery items at almost no cost. Should double check but think the cost for an official Mayku plastic sheet is around one dollar although you can easily also use plastic sheets from other sources if these are suited for the task. Note that the working area of the Mayku Formbox is 150mm x 150mm with a maximum draw depth of 130mm for the creation of objects so you won't be able to create massive objects but think the given size is most suited for modelling and miniature purposes. The Mayku Formbox tabletop vaccuum former is a user-friendly machine suited for affordable miniature modelmaking. Although most suited for companies and product design studios due to the applications and price tag. 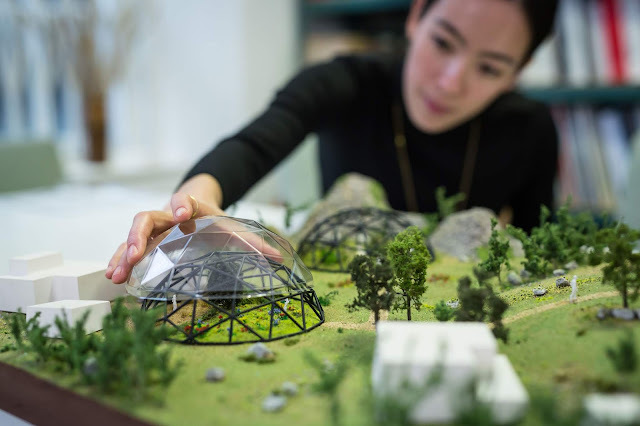 The Formbox is also offering a range of cool opportunities for the serious miniature modeller, cosplay costume maker and experienced hobbyist. To take full advantage of the possibilities of the Formbox, you can best combine the Formbox with 3D printers offering you the full design and production process from start to finish. Although you can of course easily create the master model or prototype with more traditionnal techniques and materials such as hand sculpting clay or carving wood. The Mayku Formbox is available from Mayku as a starter package containg the actual Formbox along with some of the official Mayku branded plastic sheets, templates and casting materials. Next to this you also receive free lifetime access to the Mayku library, excellent customer support and community. The price for the Formbox starter package is €699 including free shipping. 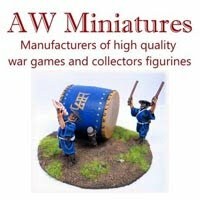 You may be wondering is the Formbox worth the price and I must admit that the price tag might be a obstacle for most individual modellers but can certainly see the potential of these machines for commercial ventures and even wargame modelling clubs where assets are used by dozens of members. Interested in purchasing the Mayku Formbox? We have received a 10% off discount code - WARGAME10 for you to use in the Mayku webstore. The exclusive discount code expires Jan 31st 2019 and can only be used on the FormBox. One use per customer. Happy shopping! As you may have noticed we haven't fully explored all the modelling possibilities of the Mayku Formbox in this review as we will be doing at least two articles on how to make wargame scenery using the Formbox in the near future. So make sure to stay tuned and follow Wargame News and Terrain for further updates regarding the Mayku Formbox tabletop vaccuum former. Thanks for reading and we hope you found this review informative and useful for further reference. Disclaimer - We received the Formbox from Mayku for reviewing purposes. Please note that this doesn't influence our review as we always strive to supply you with our own independent and honest opinion about the wargame products reviewed.